For information about facts on school choice, funding, taxes, as well as our protocol and a blank copy of the survey, please see below. If a candidate did not submit a survey, it is noted by their name. For a bar graph overview on how each question was answered by all candidates, click Overview of Survey 2010. Senate: Kee Allen Begay, Jr.
Senate: Jack C. Jackson, Jr.
Senate: Robert Hernandez McDonald, Jr.
Arizona already has a robust school-choice environment. In fact, we are a leader nationwide in the school-choice movement. In addition to traditional public schools, Arizona has approximately 500 charter schools, provides public tax credits for private schools, and allows home schooling. However, with all this choice, nearly 90% of the parents still choose to send their children to public schools. Our state general fund spending hasn’t varied much when it is compared to the total personal income of Arizona citizens each year. The highest income to state spending ratio in the last 16 years was 5.2% in 1995 – it was 4.7% in 2008. What has changed dramatically is our tax structure. Corporate income tax rates have declined from 9.3% in 1990 to 6.98% in 2008. The JLBC reports that our yearly corporate tax revenue was actually lower between 1998-2004 than it was in FY 1997. Personal income taxes have dropped from a range of 3.80-7.00% in 1990 to 2.59-4.54% in 2008, and the number of tax credits and loopholes introduced during that time means that many individuals and businesses pay less than their actual published tax rate. It is worth noting that these figures do not include the steep cuts to public education legislators made during the last two years. The Arizona legislature cut $2.2 billion from K-12 and university/community college funding since 2008 . These cuts have crippled many school districts, especially in rural areas. The cuts have resulted in class size increases; the loss of specialist teachers and programs like music, P.E. and gifted services; even the loss of basic necessities like paper. While some point to high administrative costs to justify these cuts, administrative costs in Arizona for public schools average nearly 2% less than the national average of 9.0%. 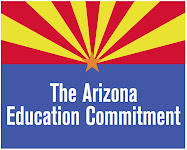 All candidates running for the state Senate or House of Representatives in the 2010 primary were asked to complete our survey on issues surrounding public education in Arizona. The survey consists of 12 multiple-choice questions. A comment section follows each section allowing candidates the opportunity to clarify or elaborate upon their answers. Per our protocol, candidates were emailed the survey on on June 22 and sent two reminder emails prior to the July 16 deadline. If a candidate did not submit a survey, it is noted by their name. You may wish to take the survey yourself to help you identify your own educational priorities; or, you may want to mail a copy to a candidate who did not return a survey to AEN. Click Blank Survey 2010, pdf to get a copy of the survey for your use. Im shocked by the number of people who didnt submit the survey! They are supposed to be serving the people, yet are slow to respond to our concerns.